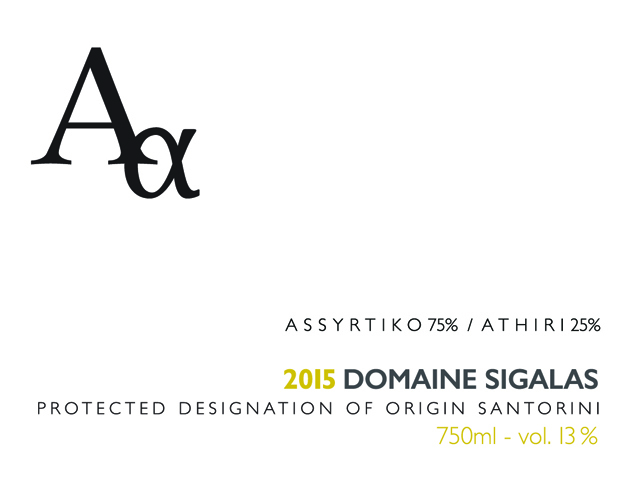 The second label of Domaine Sigalas, namely “ΑΑ”, is a more affordable alternative to Sigalas Santorini, without compromising the unique character of the island’s wine style. 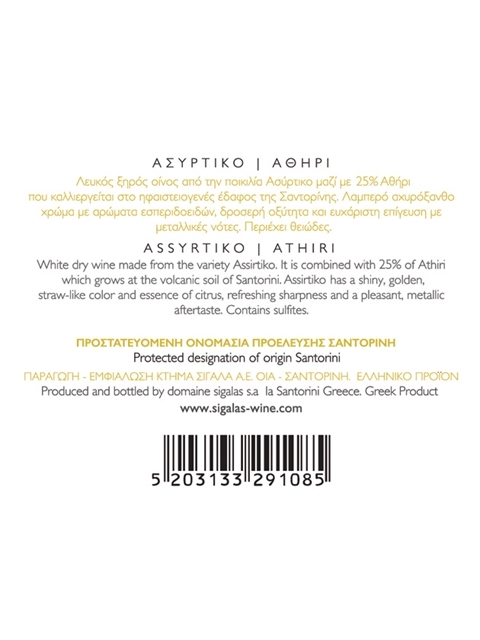 About 75% of the wine consists of gently pressed Assyrtiko (as the free-run juice of Assyrtiko is used to make Sigalas Santorini) and 25% of Athiri free-run juice and first pressings, as well as other local white varieties of the island. 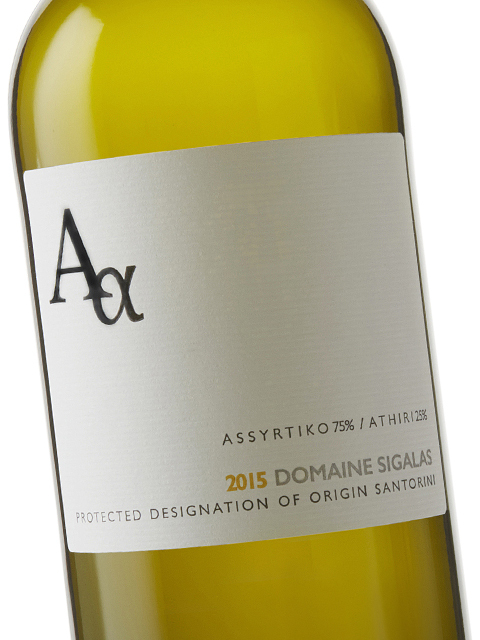 These varieties differentiate the character of this wine, which has a slightly lower acidity (still high though), making it easier to drink on its own. The sur lie method is again applied during vinification. 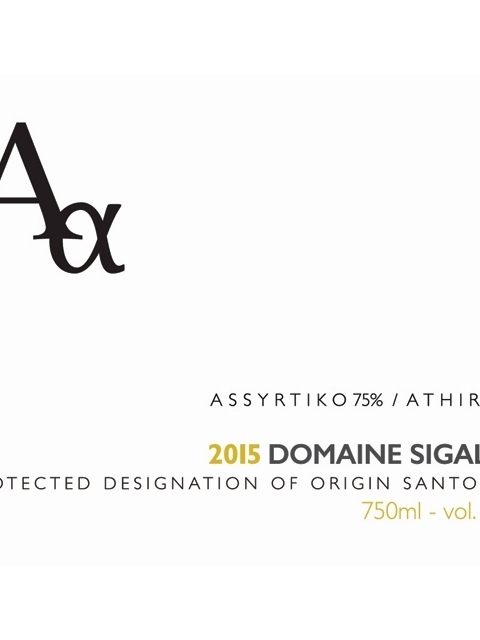 This excellent value-for-money wine is suggested to be enjoyed within 3 years from the vintage year. Clean, medium intensity, with aroma characteristics reminiscent of lemon, green apple, peach, lime, grapefruit and herbal notes. 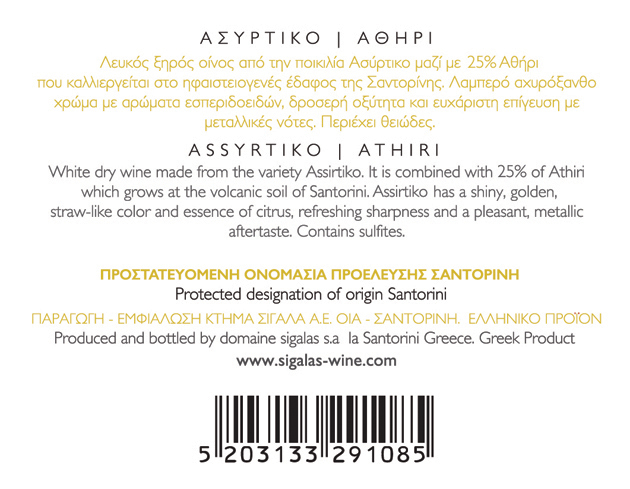 Dry, medium (+) acidity, medium (+) alcohol, medium body. 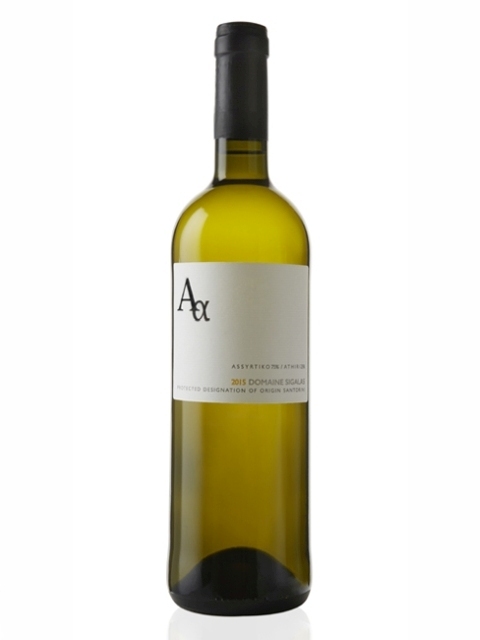 Medium flavor intensity with flavor characteristics reminiscent of lemon, cut grass, mango, melon and salt. Medium finish.